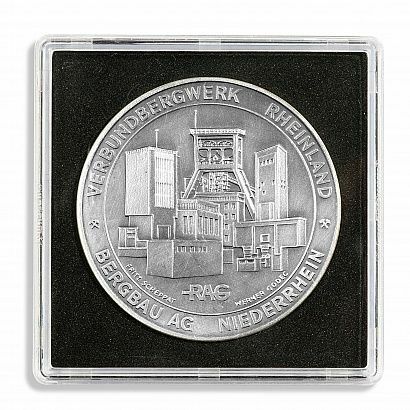 The identical outer dimensions of the square capsules allow coins of different sizes to be stored in a single collectors’ system. Square coin capsules made from high-quality, scratch-resistant plastic. Secure yet easy-to-open locking. Capsules incl. precise-fit black insert for all the most common coins with a 14 - 41 mm diameter. Capsules available in mm increments. Capsule size: 50 x 50 x 6.25 mm. 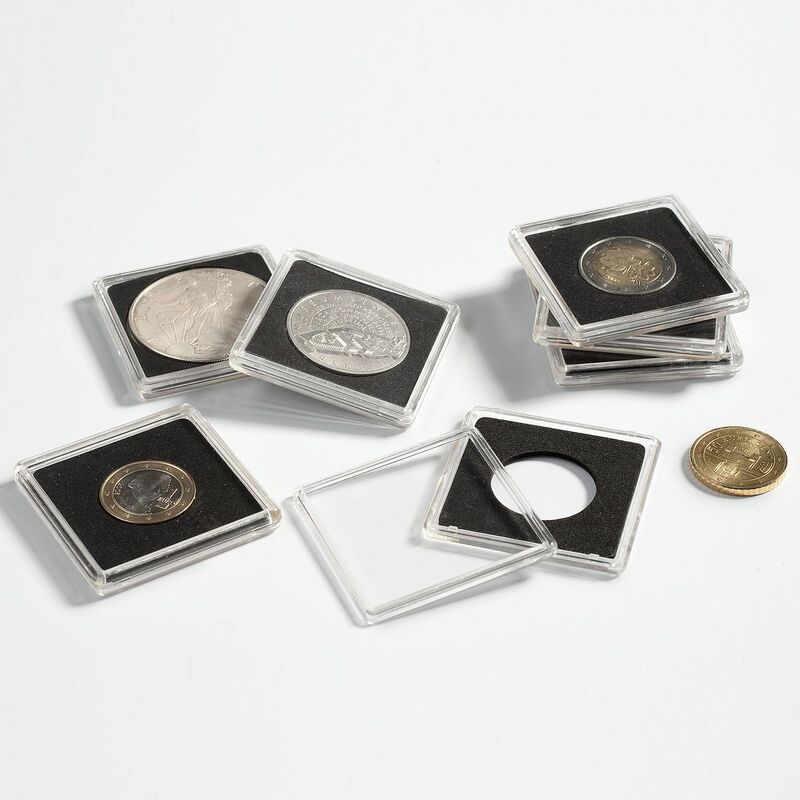 For optimum storage, we recommend our collection of accessories: presentation cases, coin etuis, coin boxes and drawers. 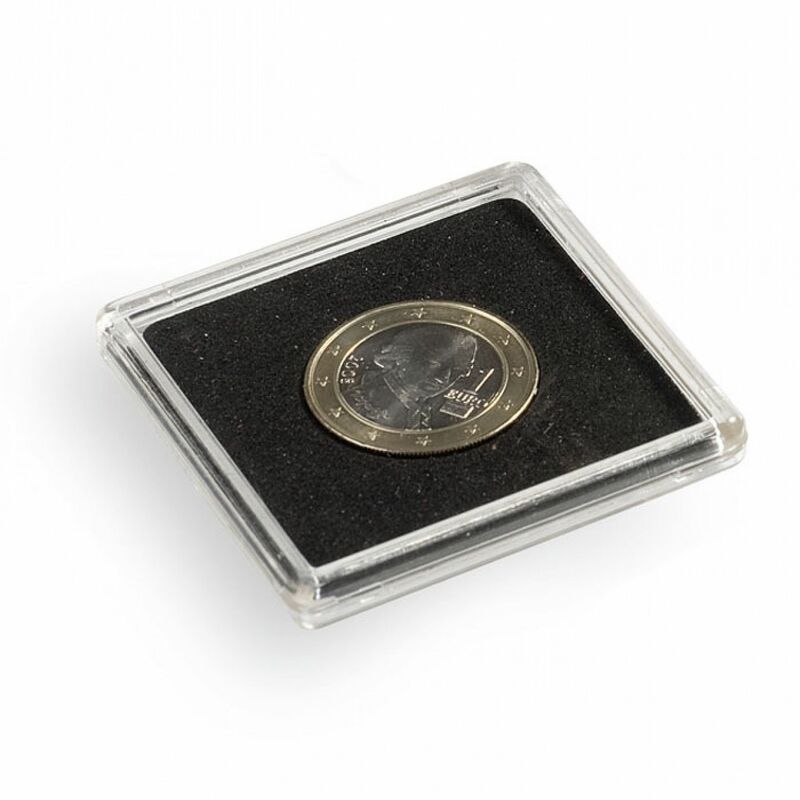 Numerous studies confirm the excellent suitability of QUADRUM foam insert for keeping coins safely.